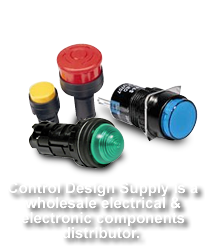 ABB's family of sectional feed-thru terminal blocks compression clamp allow ease of wiring. 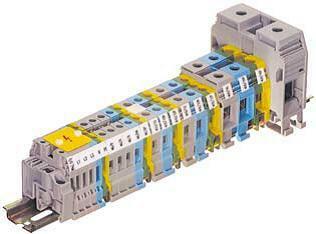 This series of sectional terminal blocks can be mounted symmetrically on DIN 3 rail or asymmetrically on DIN 1 rail. Sectional terminal blocks are versatile since they can be assembled to the length and design that fit your application. Available colors include grey, blue and orange. Wire size up to 500 MCM. Mounting allowed on symmetrical rail (DIN 3) or asymmetrical rail (DIN 1). Temperature range -40° to +110° C.